Accessco has a wide range of stairlifts both for straight and curved stairs. If you, or someone you know, cannot climb stairs or are finding stairs a struggle then Accessco has the perfect stairlifts solution for you. From our ‘standard’ electric stairlift to the platform stairlifts, we can install stairlifts to straight, curved or almost any other configuration of stairs or even straight through a ceiling. You needn’t worry about being stuck during a power cut, as our electric lifts are battery-powered, so they run on battery and recharge during use. This means that even in an extended power-cut, you might not have other home comforts, but your stair lift will continue to help you up and down your stairs. View the videos below to see examples of some of our stairlifts. The platinum curved stairlift will navigate any staircase, its also one of the most cost effective stairilifts on the market. The Platinium horizon straight stairlift, with its discreet rail and very quiet motor, this suits any household staircase. If your staircase is curved or straight we have a reconditioned option available, our prices start from 1000 euro. we also have rails in stock, which means we massive discounts available. Click here for more information on reconditioned options. 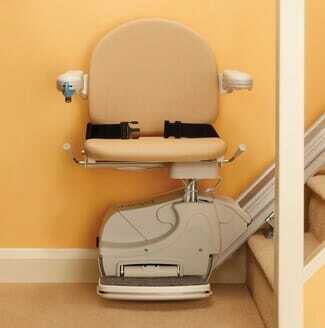 Maybe you have a stairlift to sell, we buy your unwanted stairlifts. Click here and give us a call. 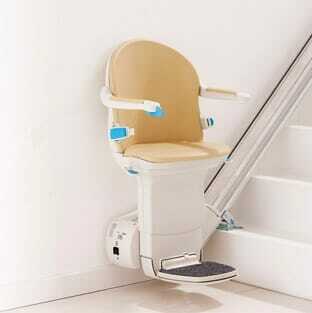 We supply a complete range of reconditioned stairlifts starting from 1000 euro. Click here. Our options also include renting your stairlift for as little as €950. Click here. All Accessco stair lifts are fully electric and whisper quiet, but we have numerous optional configuration choices from folding foot plates and swivel seats (powered or manual) to joystick and infra red controls and safety cut-out sensors. Our platform lifts also come in various configurations and can be installed to go through floors or up stairs, with or without guard rails all around and various maximum weight limits up to 400KG. So whatever requirements and home or business configuration, Accessco’s stair lift experts can help you choose the exact stair or platform lift to meet your specific needs. Accessco also provide complete installation and all our stair lifts come with a 12 month guarantee to provide complete peace of mind. Our stair lifts will provide years of trouble-free use, but of course all equipment requires maintenance at some point and we even make this easy for you. You can simply call us if an issue occurs and we’ll be out to you within 24 hours or we can arrange regular maintenance visits for a small yearly fee to ensure your stair lift provides uninterrupted performance for years to come. All that’s left to do is to have a look at some of our stair lift models in the left menu, such as the ‘Minivator Simplicity Plus’ the ‘Otolift II’ the ‘TF 600 Platform Lift’ or the ‘Harmony Through Floor Lift’.